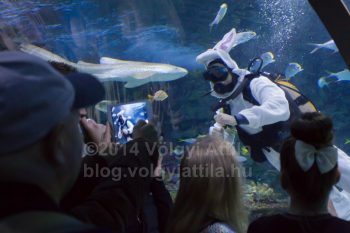 Visitors watch a scuba diver dressed as a bunny searching for Easter eggs hidden in a shark pool in Tropicarium in Budapest, Hungary on April 20, 2014. Budapest’s Shark Zoo the Tropicarium has a tradition with the shark feeding. Easter time the scuba divers wear bunny dresses. 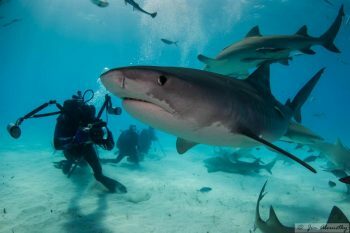 Finally the popular nature documentary Sharks in My Viewfinder about Hungarian scuba photographer Daniel Selmeczi can be watched online. Watch it and support the creators to be able to make lots of other similar movies! 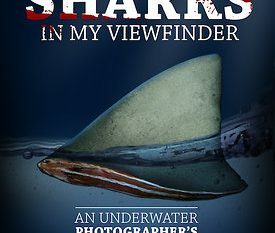 The DVD version of the new documentary about underwater photographer Daniel Selmeczi is finally complete and now available to buy. Watch at close hand the dangerous predators of deep seas as Selmeczi observes and shoots underwater photos of them. 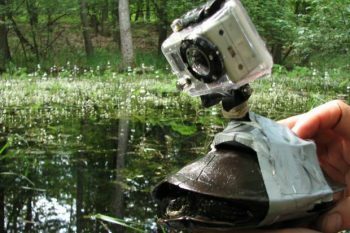 How fast a turtle can swim with a GoPro camera attached to its back? The staff of Wild Hungary made an attempt to record a very special turtle eye perspective shot. There is a strange resident in the swimming pool of the London Olympics. 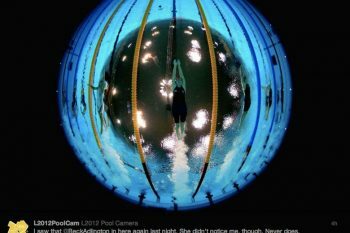 It doesn’t only watch competition in the water from a close up view, but it broadcasts underwater images live. More than that it adds really funny comments to the spectacularly looking competitions.